1. Monday, Dec. 3, 2018: 2-3:30 pm PST (4-5:30 pm CST, 5-6:30 pm EST): We welcome back Dr. Kirsten Howley of Lawrence Livermore Lab to discuss both dark energy and dark matter. 2. Tuesday, Dec. 4, 2018: 7-8:30 pm PST; 9-10:30 pm CST; 10-11:30 pm EST: We welcome back Douglas Messier of Parabolic Arc. 3. Wednesday, Dec. 5, 2018: Hotel Mars. See Upcoming Show Menu and the website newsletter for details. Hotel Mars is pre-recorded by John Batchelor. It is archived on The Space Show site after John posts it on his website. 4. Friday, Dec. 7, 2018: 9:30 am -11 am PST, (12:30 -2 pm EST; 11:30 am -1 pm CDT. We welcome Dr. George Fox from the University of Houston regarding his research pertaining to the study of hardy Earth germs that could contaminate other planets. For more information, see astrobiology.com/2018/06/hardy-organisms-threaten-interplanetary-contamination.html and sciencedaily.com/releases/2018/06/180627160249.htm. 5. The Sunday, Dec. 9, 2018: 12-1:30 pm PST, (3-4:30 pm EST, 2-3:30 pm CDT): We welcome both Dr. Brian Weeden and Dr. Namrata Goswami back to The Space Show for a comprehensive two hour discussion regarding the need for a separate U.S. Space Force. Don’t miss this discussion with these two highly qualified experts on this topic. ** Fri, 11/30/2018 – Dr. Haym Benaroya of Rutgers University talked about “lunar policy, returning to the Moon, planning a human lunar return mission, commercial lunar market potential, advocacy action and more”. 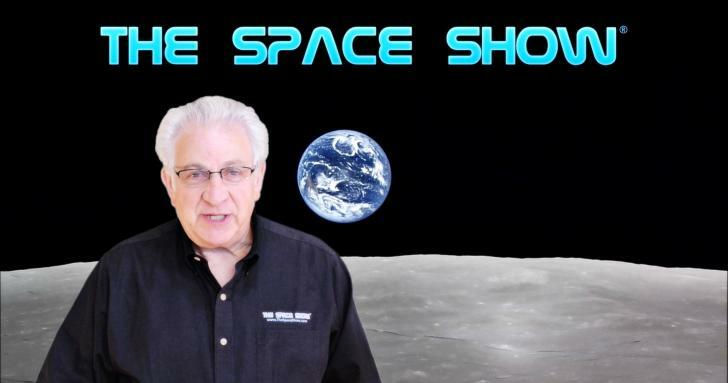 ** Tue, 11/27/2018 – Dr. Doug Plata discussed “policy meetings regarding alternative lunar return possibilities, Scott Pace meetings, Doug’s Dec. 5th telecon, and much more”. ** Mon, 11/26/2018 – John Hunt “discussed his interest in space and physics, advanced & exotic propulsion, he updated us with the Woodward Mach Thruster work plus the latest on SLS and the Gateway, Space Show annual campaign, Space Show Advisory Board”.